CHICAGO (September 25, 2014) – Joffrey Ballet Artistic Director Ashley Wheater and Executive Director Greg Cameron announced today that Erica Lynette Edwards, a dancer with the Joffrey since 2000 who took on such roles as The Chosen One in Nijinsky’s The Rite of Spring, fourth song soloist in Antony Tudor’s Dark Elegies and the Fairy Godmother in Frederick Ashton’s Cinderella, will retire following the engagement of Robert Joffrey’s The Nutcracker (set to run at the Auditorium Theatre, December 5-28) to become the company’s new Director of Community Engagement. In her new role, Edwards will be responsible for continuing to expand the company’s successful Community Engagement program, which serves over 50 schools in Chicago and an average of 5,000 students annually. In addition to managing all educational programs through Chicago Public Schools, parochial and private schools, the Chicago Park District and across the community, Edwards will also work to increase dance awareness and dance appreciation, laying the foundation to build future dancers and audiences. Edwards replaces Pierre Lockett, who resigned from the position in June, but still works closely with the Community Engagement program on a consulting basis. The Joffrey’s expansive Community Engagement program serves students of all ages, ranging from the Lemonis Bridge Program for first and second grades through the long-standing Middle School Dance Clubs and Residency programs for pre-K through grade 12. Advanced programs include the Exelon Strobel Step-Up Program, a rigorous scholarship program offered to promising high school students; the Advanced Art Program, a partnership with the Chicago Public Schools at Gallery 37 involving yearlong dance instruction for ambitious high school students; and After School Matters Summer Intensives. For more information on the full range of Community Engagement programs, visit www.joffrey.org/community. Edwards joined The Joffrey Ballet after being one of the first dancers in the Arpino Apprentice program in 2000. 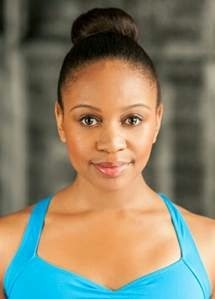 She trained at the Salt Creek Ballet School where she performed major roles in their pre-professional ballet company. Edwards attended summer intensives at the School of American Ballet, San Francisco Ballet and Bryant Ballet on merit scholarships, American Ballet Theater, Royal Winnipeg Ballet and Ruth Page Foundation. She also trained two years at Butler University in Indianapolis on talent, academic and leadership scholarships. She is featured with The Joffrey Ballet in Robert Altman's movie, The Company. Edwards’ complete bio and repertory are available at www.joffrey.org/people/erica-lynette-edwards-0. In related news, former dancer Michael Smith (2001-2013) joins the team as a Community Engagement Coordinator, where he will maintain social media, teach and choreograph. Michael will oversee Joffrey’s After School Matters, Advanced Arts Placement and Exelon Strobel Step-Up programs and serve as Ballet Master for The Nutcracker Children’s Cast. The Joffrey Ballet continues its 20th Chicago Anniversary season with its annual fall engagement, the Chicago Premiere of a newly envisioned Swan Lake choreographed by one of ballet’s most acclaimed choreographers, Christopher Wheeldon. Continuing Joffrey Artistic Director Ashley Wheater’s endeavor to bring re-imagined story-ballets to Chicago audiences, this performance represents the first time The Joffrey Ballet has ever performed a Swan Lake in its almost 60-year history. Swan Lake is presented at the Auditorium Theatre of Roosevelt University, 50 E. Congress Parkway, in 10 performances only, October 15 – 26. Single tickets, priced from $32 to $170, are available for purchase at The Joffrey Ballet’s official Box Office located in the lobby of Joffrey Tower, 10 E. Randolph Street, as well as the Auditorium Theatre of Roosevelt University Box Office, all Ticketmaster Ticket Centers, by telephone at (800) 982-2787, or online at www.ticketmaster.com. For more information on The Joffrey Ballet and its programs visit joffrey.org.